The melody of colors that constitute India make it special, and it’s one of the prime reasons why tourists are attracted to the country. While visiting a destination, it is the colors that stay fresh in the visual memory, so here are some colors that you can etch in your memory while visiting India. 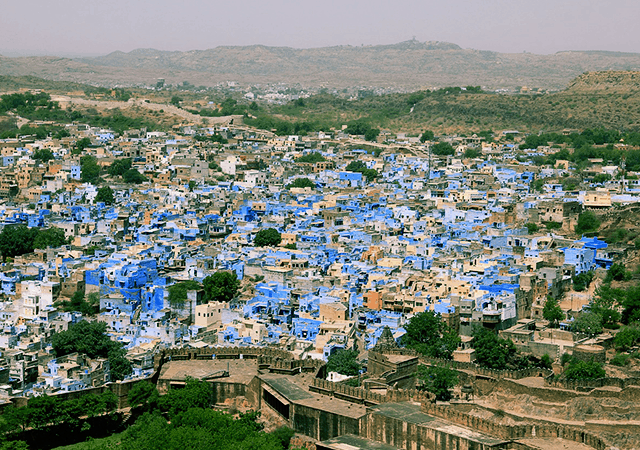 Interestingly, Jodhpur has its houses painted all blue and the reason for this is not entirely known. However, rumor has it that one part of the city was painted blue during the 15th century as per the orders of Rah Jodha; even the lanes were blue. While Jodhpur is known as the Blue City, you can see the beautiful Rajasthani women walking around wearing multi-colored skirts with bright scarves and headgear. Even the men wear colorful dresses and turbans. Walking around in this bustling city is definitely a memory to behold. The yellows and oranges and reds in the residents’ attire certainly make it warm and inviting. Dashashwamedh Ghat is a main ghat or bathing place in Varanasi, situated on the River Ganga, Uttar Pradesh. The ghat is vast, spectacular and offers a fascinating experience. Varanasi is one of the oldest cities in the country and a cultural hub. What makes the ghat colorful is the beauty of the place with people dressed in different robes of orange, white, red, etc. 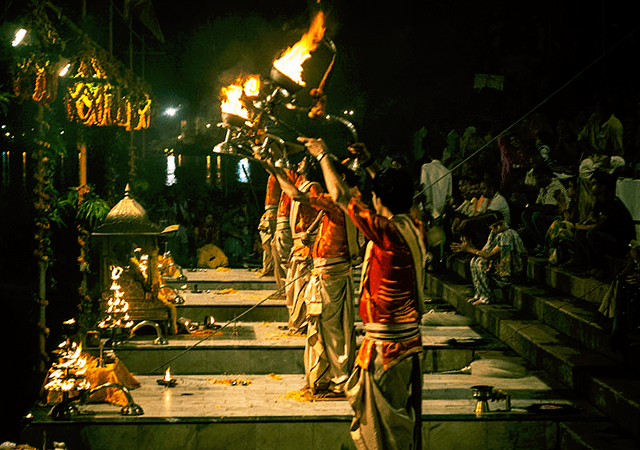 The evening Aarti is a sight to behold with lighted lamps and religious chants adding to the fervor. The devotees immerse thousands of lighted lamps in the River Ganga, with saffron-robed priests guiding them. Conch shells are blown at that time, enhancing the divineness of the hour. The environment is unpolluted and fresh, making it just perfect for early morning meditation. You can sit at the ghat early in the morning in quiet contemplation, and watch the glorious sunrise. Chudi means “bangles” in Hindi and Bazar means “market”, so as expected you will find hordes and hordes of bangle shops at Chudi Bazar, Hyderabad. 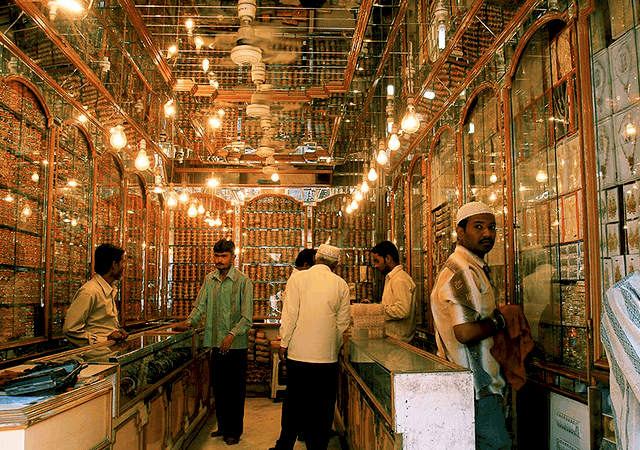 This is located at Charminar, and the bazaar also goes by the name “Bridal Bazaar of Hyderabad”, and Street of Bangles. The dazzling array of bangles made of glass, brass, silver, threads, metal and even colorful stones and mirrors in the different shops on the street make the market colorful and beautiful. The prices of the bangles range depending on what you need, of course. So, they could be anywhere between Rs. 20 to Rs. 5000, and sometimes more. As you enter the bazaar, you will be treated to a visual display of shimmering bangles accompanied by their tinkling sounds. 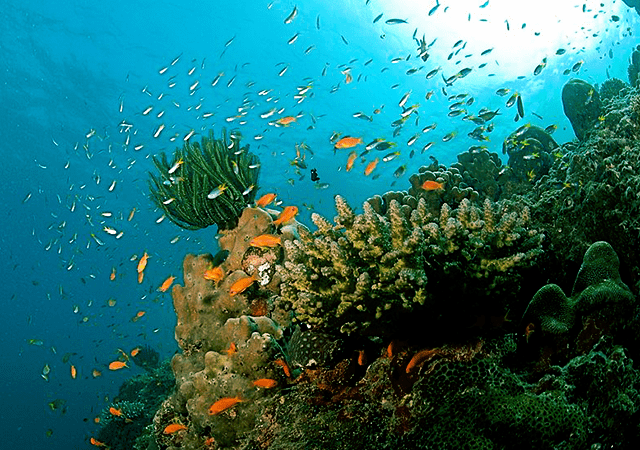 The colorful reefs of the Andaman are greatly popular among tourists. While visiting the underwater life in the Andaman, you will be able to see an abundance of sea life ranging from fish varieties to snails, sponges, crabs, starfish, shrimps, lobsters to sea cucumbers and sea lilies. The colors of the sea life render a different kind of beauty, making it irresistible and inimitable. 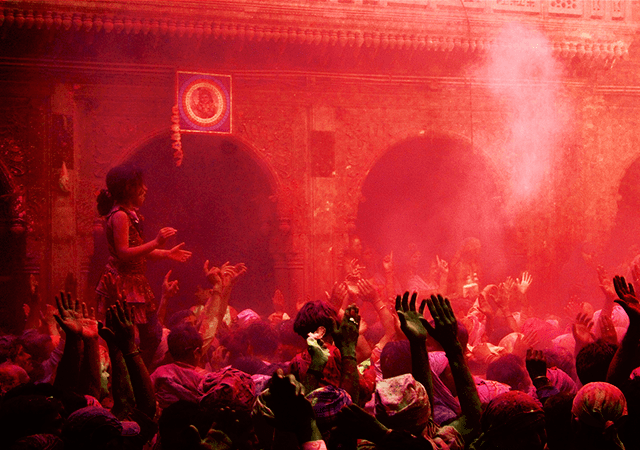 Holi is a festival of colors, so when you are visiting India during March, head to Vrindavan because that’s where all the major action takes. People don white clothes and then smear each other with colorful sprays, powders, and water balloons. Women get a chance to literally beat their men with sticks. The legend goes that Radha and her friends were often teased by Lord Krishna, who got offended and then chose to chase the lord away with sticks. The beat of drums accompanied by the throwing of colors makes it all so wonderful and glorious. 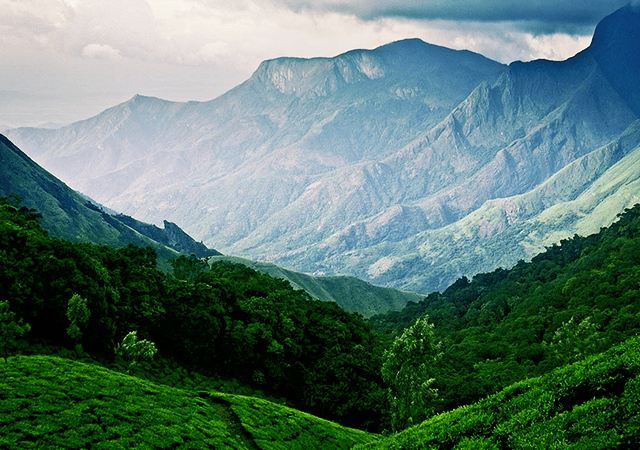 The beauty of Munnar has been raved about for hundreds of years. People enjoy the elegant colors of places in Munnar, especially when they get to savor acres and acres of tea plantations set against the misty mountains and the blue sky. The beauty is of a different kind, quiet, serene and elegant – a far cry from the sounds and colors of the festivals. The mornings are magical here, especially when you watch the sun poking its way among the mountains shrouded in clouds, with the melody of bird songs reaching their crescendo. 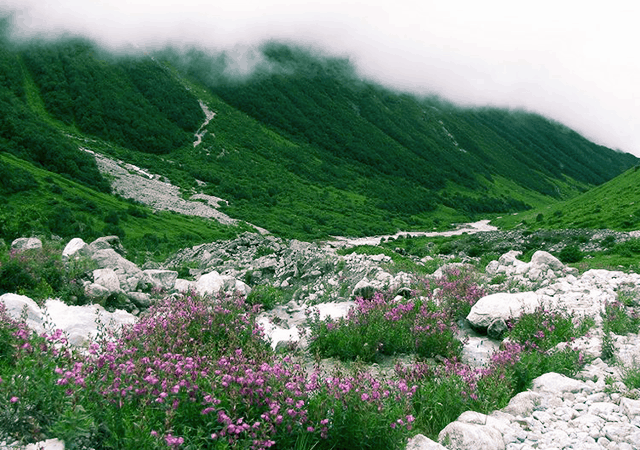 The large colonies of flowers at the Valley of Flowers at Uttarakhand is a worth a visit from the village of Ghangaria. Incredibly beautiful and stunningly awesome, you can see lush green mountains in the background. The flowers reach their full bloom after the first monsoon rains because once it is winter, the snow takes over and you will not be able to see many of the flowers. The best time to visit these flowers would thus be during the June—September months. 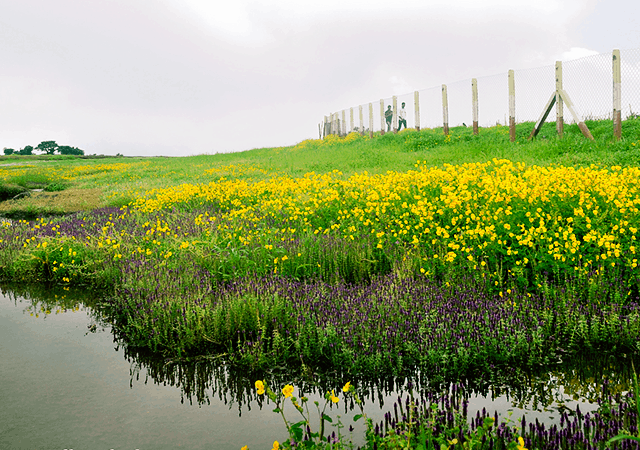 Kaas plateau is located in the Satara district of Maharashtra. Kaas Plateau is also referred to as the Valley of Flowers of Maharashtra and is home to a huge concentration of endemic flowering plants. It is a UNESCO Natural World Heritage site, and so well-maintained. There are several varieties of flowers, so the flowering takes place at different times of the year, and you get to see different colors each time of the year. Wayanad is a great place if you want to enjoy the colors of Kerala. The picturesque beauty of the location, the colorful birds, the vibrant colors and clear blue sky all add to the hues of nature. 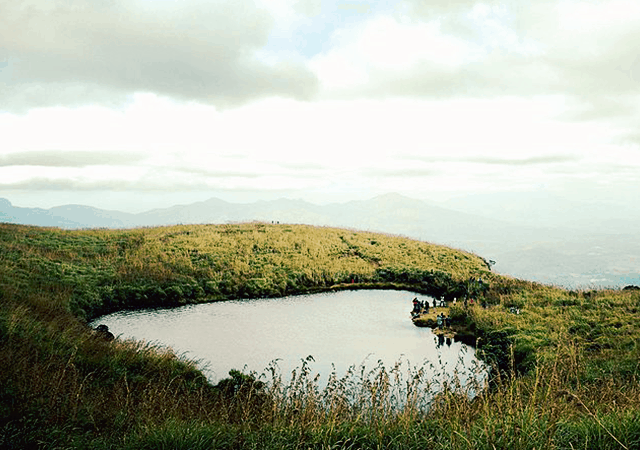 There are a number of places to visit while at Wayanad – Kuruva Island, Edakkal caves, Pocket Lake, Nagarhole National Park, Muthanga and so on. 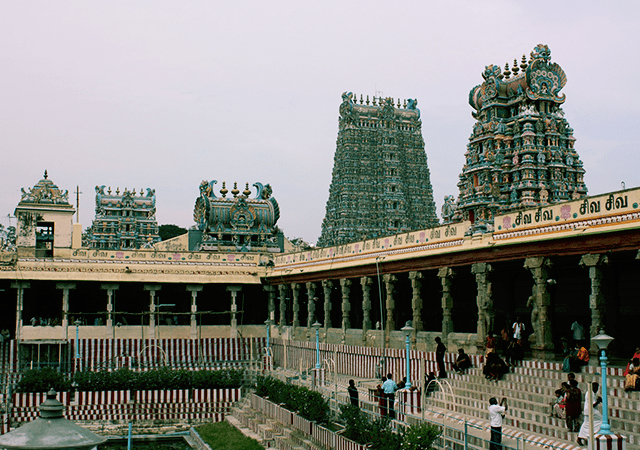 Meenakshi Temple in Madurai is extremely popular for its spiritual aura and divineness. The entire city of Madurai is actually built around the temple, with intricately carved sculptures in magnificent colors. There are about 14 towers in the temple, and each of them is carefully sculptured and extremely beautiful to see. 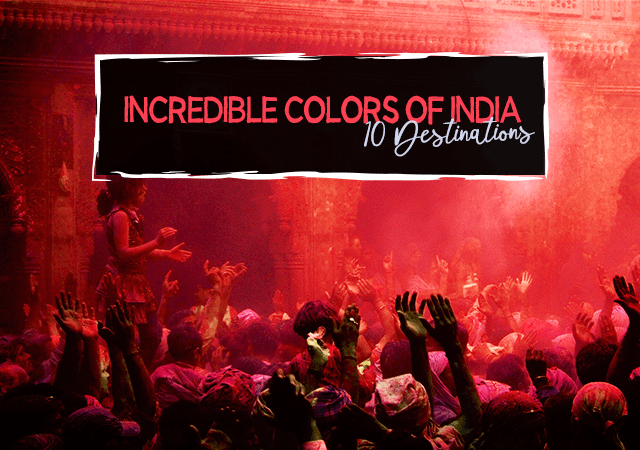 These are some of the most colorful places in India that you can visit; it will be an experience of a lifetime.